Diwali is such a great Festival with so many varieties of food. But there are a couple of people who can't enjoy Diwali that much. Do you know who they are?? They are your kids who have exams coming up soon after these festivals. Many mothers don't like to give unhealthy food to their kids during exams. 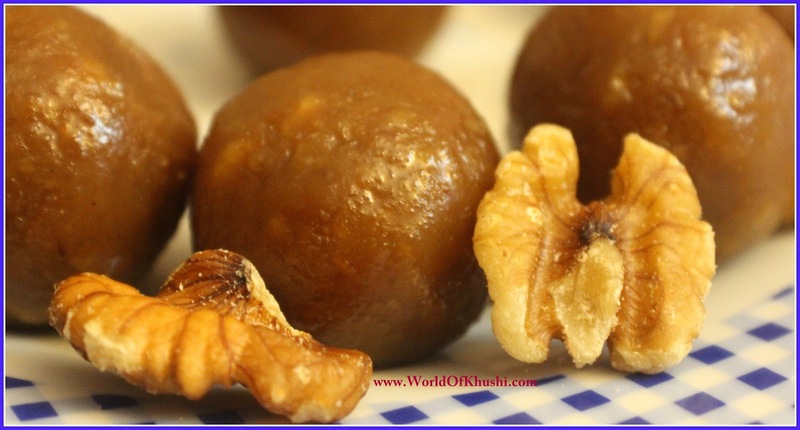 In today's post I'm going to share with you a Dessert recipe; Walnuts Ladoo. Walnuts are very healthy dry fruit, which helps to improve memory and also give high energy. These Ladoos are very tasty & at the same time extremely healthy. All you need are just 2 major ingredients & half an hour to cook. 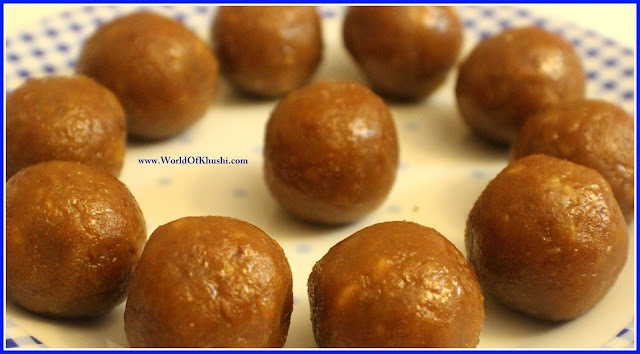 You can give your kids this Ladoos with milk in morning or anytime in the day. Remember Walnuts are very healthy but you have to eat in moderation. Let's see how to make it!! I am using Raw Honey here but you can use any Honey from the market. As each Honey type will have different sweetness you can adjust the quantity of Honey if required. Step 1. Soak Walnuts in water for at least 3 to 4 hours. Step 2. In grinder, mix Walnuts with little Water and make a smooth paste. Step 3. Take a non-stick pan, add Ghee. Once its melted, add Walnut Paste. Step 4. Cook for 5 - 6 minutes, keep stirring. Step 5. Now add Honey & mix it well. You will get watery consistency. Step 6. Cook for 10 to 15 minutes more in medium flame & keep stirring, until you get a thick consistency. Step 7. Now slow down the flame, add Cardomom Powder & cook it 3 - 4 minutes more. Step 8. Once you get Halwa type of consistency, remove it from flame and cool it down properly. Note :- The temperature of this Ladoo mixture is Extreme High so don't try to touch it, until unless it's properly cool down. Step 9. Once your mixture is cool down properly, start making Ladoo. Your delicious tasty ladoos are ready. Note :- Don't add too much ghee as Walnuts have natural oil. If you don't like honey you can even make with Sugar. This dish is very delicious and healthy at the same time. It's quite easy to make ! 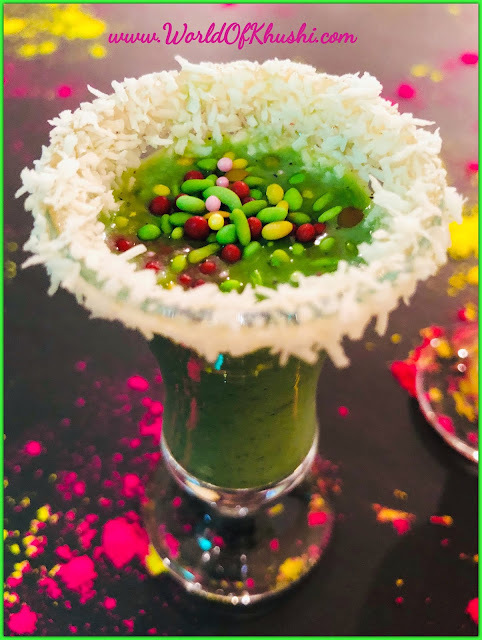 Do try at home, I am pretty sure that your family will love this. Remember Walnuts are very healthy but you have to eat them in moderation. Don't forget to share your Recreations with me.